*Disclosure: I did receive this product and compensation to facilitate my review. These opinions are my own and were not influenced by another person. Did someone say ice cream? I’m all ears! That was definitely the case here when the My/Mo folks reached out to see if we would like to work with them on a product review and of course, we jumped at the chance. We don’t mess around when it comes to ice cream! What else is My/Mo? Extremely difficult to photograph. For two reason: 1) Your family will devour it before you have the chance and 2) These little ice cream balls have an interesting shape/texture and powder covered look that actually makes it a bit hard to get a great photo of BUT it does make them delicious, so who needs great photos, right? Thankfully… you don’t buy My/Mo to photograph it, you buy it to enjoy it, which I highly recommend! That being said, here are a few shots that I took of My/Mo before my family dug in. 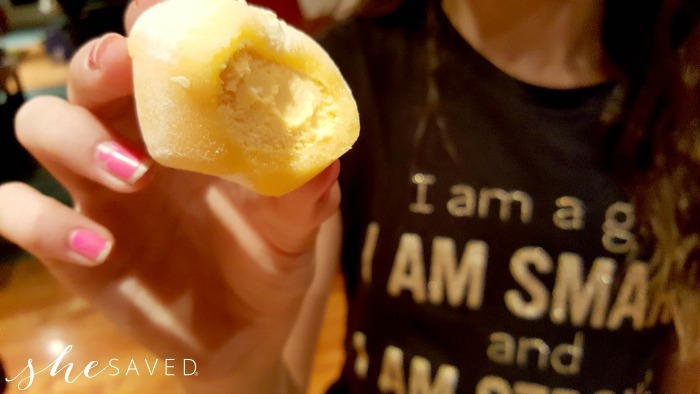 About My/Mo Mochi Ice Cream: An extension of a 108-year-old company that invented Mochi Ice Cream, My/Mo Mochi Ice Cream offers a fun, portable, hand-held eating experience with tasty rice dough around an ice cream center. 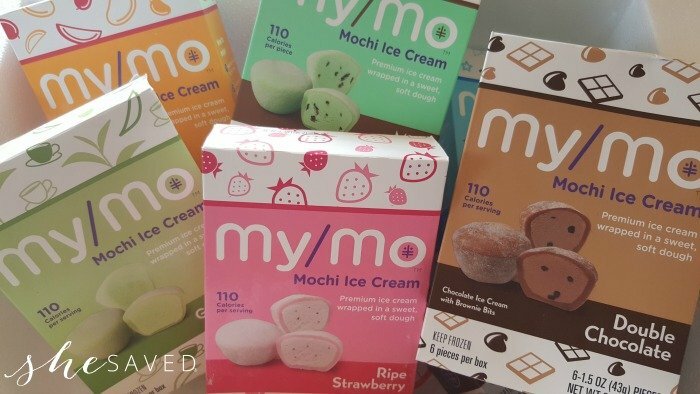 My/Mo Mochi Ice Cream is a fusion of fan favorite flavors of premium ice cream wrapped in traditional sweet rice mochi dough, giving snackers a colorful and flavorful new way to experience ice cream. The brand’s fun, poppable and delicious mochi ice cream is made from the very best ingredients and is only 110 calories per serving. These little 6 packs are perfect for our family of four and I love that you can grab them right out of the container and enjoy them. As you can see in the photo below, you bite through the doughy outer layer to find yummy ice cream in the middle. Smiles all around. My whole family loves these! My daughter and I each find that one is filling enough, but my son and hubby think they need 2 for dessert, so a 6 pack works perfectly for us. Where to puchase My/Mo Mochi Ice Cream? 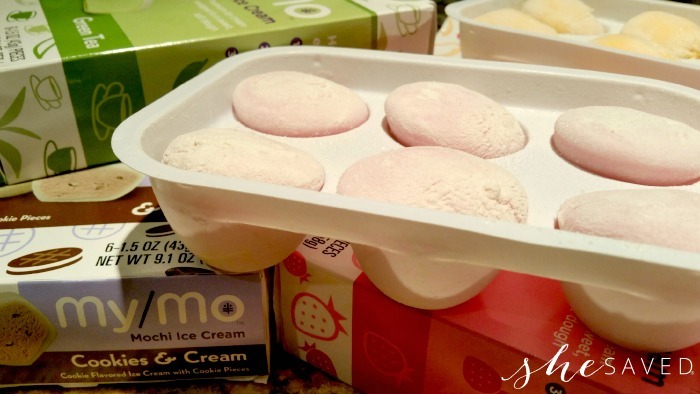 My/Mo Mochi Ice Cream is available nationally in the frozen aisle and self-serve mochi bars at select locations of Safeway, Kroger and more. 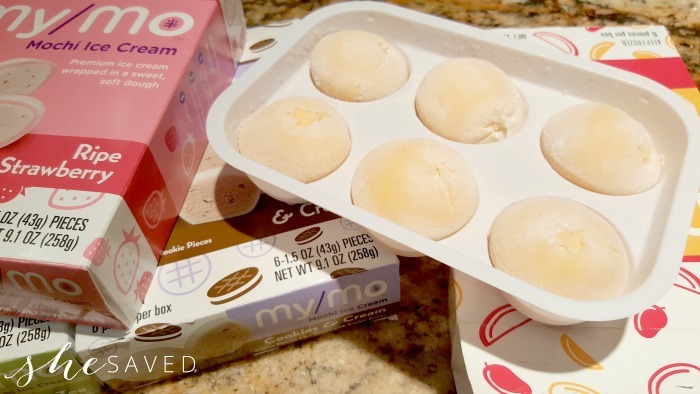 For more information on My/Mo Mochi Ice Cream, please visit www.mymomochi.com. I recently spotted My/Mo at Costco, so keep your eye out for it there. These look delicious! I'm not sure which flavor I'd choose first...they all sound good! I hope you get to try them, they are so unique and I don't have a favorite yet either...so far, my favorite is the one I'm eating at the time :) Thanks for the comment, Jackie!